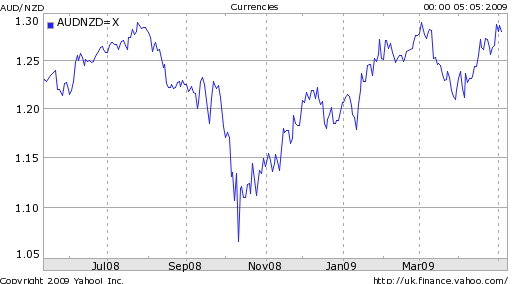 When offering forecasts for 2011, I feel like I can just take the stock phrase “______ is due for a correction” and apply it to one of any number of currencies. But let’s face it: 2009 – 2010 were banner years for commodity currencies and emerging market currencies, as investors shook off the credit crisis and piled back into risky assets. 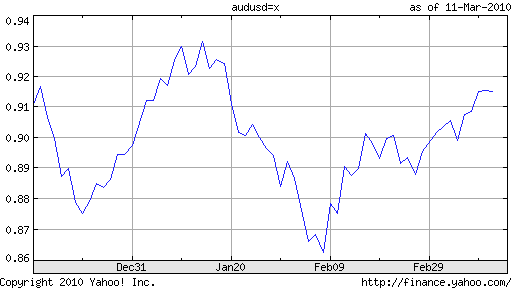 As a result, a widespread correction might be just what the doctor ordered, starting with the Australian Dollar. 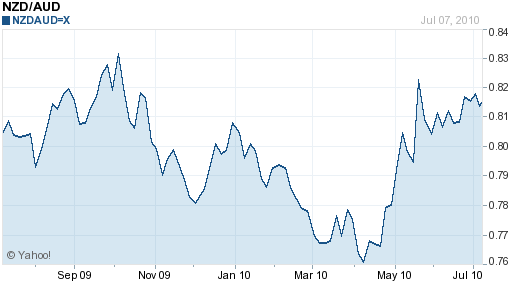 By any measure, the Aussie was a standout in the forex markets in 2010. After getting off to a slow start, it rose a whopping 25% against the US Dollar, and breached parity (1:1) for the first time since it was launched in 1983. 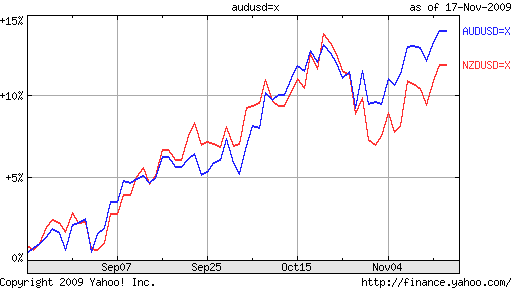 Just like with every currency, there is a narrative that can be used to explain the Aussie’s rise. High interest rates. Strong economic growth. In the end, though, it comes down to commodities. 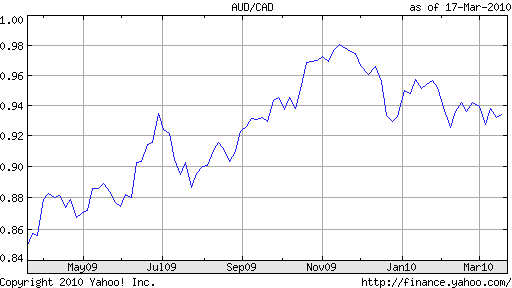 If you chart the recent performance of the Australian Dollar, you will notice that it almost perfectly tracks the movement of commodities prices. 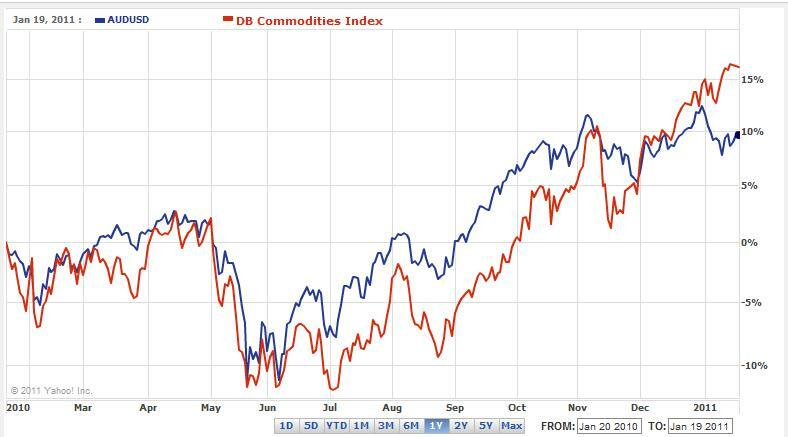 (In fact, if not for the fact that commodities are more volatile than currencies, the two charts might line up perfectly!) By no coincidence, the structure of Australia’s economy is increasingly tilted towards the extraction, processing, and export of raw materials. As prices for these commodities have risen (tripling over the last decade), so, too, has demand for Australian currency. To take this line of reasoning one step further, China represents the primary market for Australian commodities. 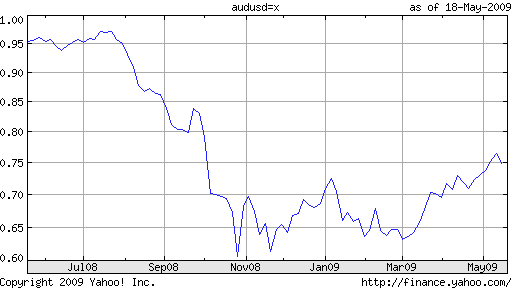 “China, according to the Reserve Bank of Australia, accounts for around two-thirds of world iron ore demand, about one-third of aluminium ore demand and more than 45 per cent of global demand for coal.” In other words, saying that the Australian Dollar closely mirrors commodities prices is really an indirect way of saying that the Australian Dollar is simply a function of Chinese economic growth. Going forward, there are many analysts who are trying to forecast the Aussie based on interest rates and risk appetite and the impact of this fall’s catastrophic floods. (For the record, the former will gradually rise from the current level of 4.75%, and the latter will shave .5% or so from Australian GDP, while it’s unclear to what extent the EU sovereign debt crisis will curtail risk appetite…but this is all beside the point.) What we should be focusing on is commodity prices, and more importantly, the Chinese economy. Chinese GDP probably grew 10% in 2010, exceeding both economists’ forecasts and the goals of Chinese policymakers. The concern, however, is that the Chinese economic steamer is now powering forward at an uncontrollable speed, leaving asset bubbles and inflation in its wake. The People’s Bank of China has begun to cautiously lift interest rates, raise reserve ratios, and tighten the supply of credit. This should gradually trickle down in the form of price stability and more sustainable growth. Some analysts don’t expect the Chinese economic juggernaut to slow down: “While there is always a chance of a slowdown in China, the authorities there have proved remarkably adept at getting that economy going again should it falter.” But remember- the issue is not whether its economy will suddenly falter, but whether those same “authorities” will deliberately engineer a slowdown, in order to prevent consumer prices and asset prices from rising inexorably. The impact on the Aussie would be devastating. “A recent study by Fitch concluded that if China’s growth falls to 5pc this year rather than the expected 10pc, global commodity prices would plunge by as much as 20pc.” [According to that same article, the number of hedge funds that is betting on a Chinese economic slowdown is increasing dramatically]. If the Aussie maintains its close correlation with commodity prices, then we can expect it to decline proportionately if/when China’s economy finally slows down. 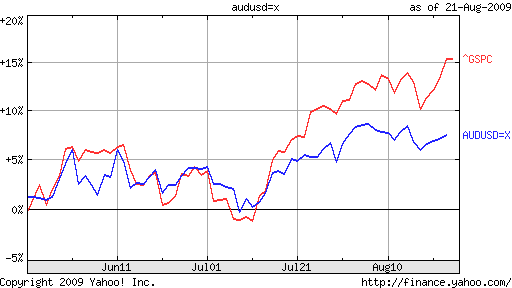 Over the last few months, the New Zealand Dollar and Australian Dollar have largely moved in tandem (see chart below). When the Reserve Bank of Australia raised its benchmark interest rate earlier this month, it shocked the markets and the Aussie shot up, while the Kiwi remained fixed in place. 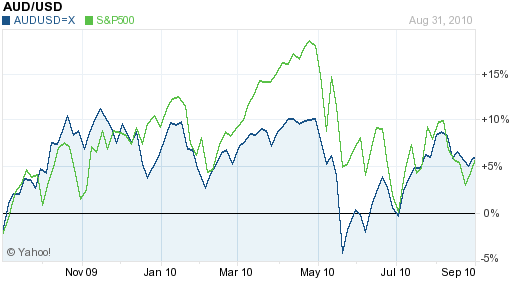 Many observers predicted that such was the beginning of a divergence in the two currencies. Less than one week later, however, the New Zealand Dollar hitched itself back to the Australian Dollar, and the two currencies have since traded in lockstep. 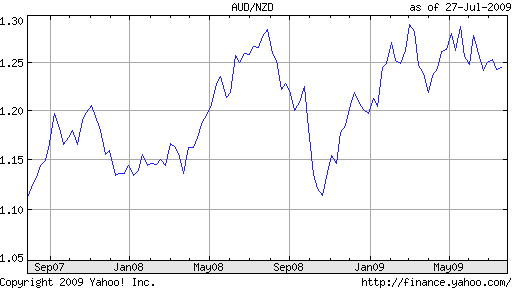 Investors have long tended to view the currencies (and economies) of New Zealand and Australia as one. Both economies boast large export sectors, and for much of the last decade, high interest rates. Given that the carry trade has been (and continues to be) one of the largest forces in forex markets, it makes sense that the Kiwi and Aussie would be grouped together. While both economies are currently experiencing negative trade imbalances, New Zealand’s deficit was 5.9% at last count, while Australia’s is closer to 2%. Given that Australia’s (energy and commodity) exports have surged by nearly 30% in the last few months, while New Zealand exports are stagnating, this discrepancy could widen in the coming months. Investment is also surging in Australia, as “The value of advanced resource projects — those that are either committed or under construction — jumped 41% to a record 112.46 billion Australian dollars (US$104.03 billion) in the six months to the end of October.” And of course, the most obvious point of differentiation is between the two economies’ respective benchmark interest rates. Thanks to the aforementioned rate hike, Australian rates stand at 3.5%, exactly 1% higher than comparable New Zealand rates. Many analysts point to Australia’s improving fundamentals (higher rates, positive GDP growth, booming investment in the energy sector, increasing exports) as the basis for the strong appreciation in the Australian Dollar. Given that the New Zealand Dollar has kept pace with the Australian Dollar (it is in fact the world’s best performing “major currency” over the last six months), this kind of analysis seems dubious, if not completely irrelevant. 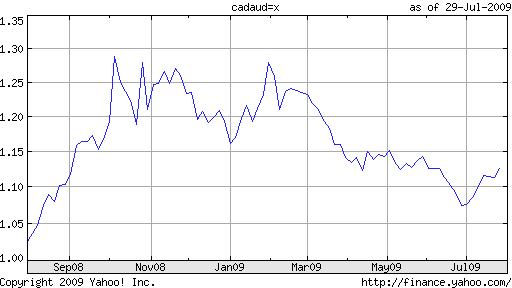 It should be clear to most observers that the carry trade is dominating activity in the forex markets. Carry traders, relatively speaking, are undiscriminating, with the main factor of importance being interest rate differentials. 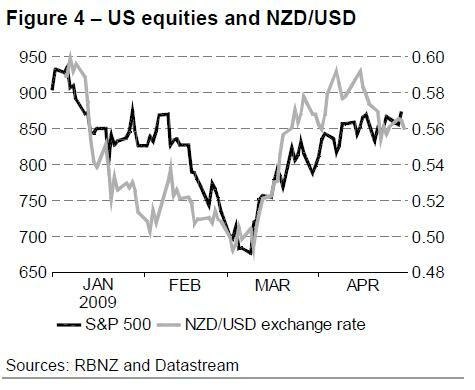 Despite the fact that New Zealand interest rates are only 2.5% higher than US rates (and actually less than Australian rates) – hardly enough to compensate investors for volatility risk – the markets are awash in liquidity, and investors are once again chasing yield wherever they can find it. One analyst offered a frank summary of this phenomenon: “It’s all about the carry trade. The Fed can’t do anything; certainly they can’t raise rates and the market knows that, and is exploiting it for the carry trade, borrowing in U.S. dollars, and the Kiwi is a beneficiary of that…That’s the only game in town. 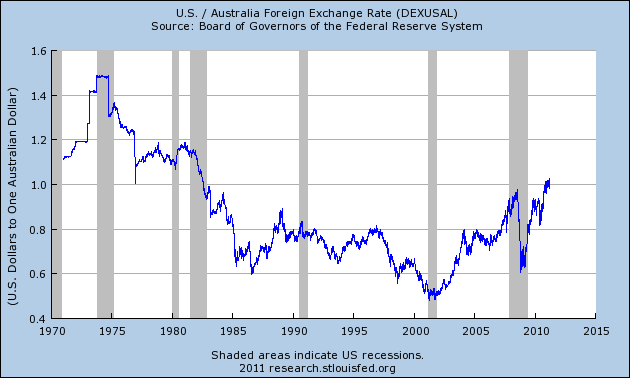 You can forget most economic data, it’s all about…the Fed.” Given that Australian rates are projected to rise faster and higher than New Zealand rates (beginning as soon as December 1), it’s conceivable that the Aussie will outpace the Kiwi. At the same time, the fact that US interest rates will likely remain low for a while means that both currencies will continue to benefit in the short term. 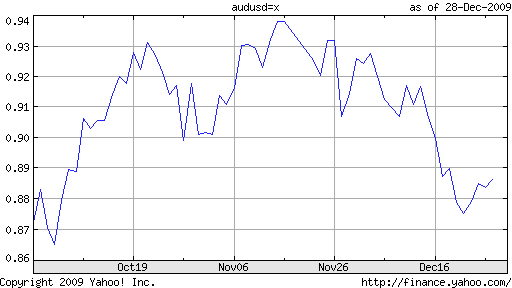 The performance of the Australian Dollar over the last six months has been nothing short of incredible: “Since the end of February, the Australian dollar has risen 29% against the U.S. currency,” and a still-impressive 18% if you backtrack to January, when the Aussie was still in free-fall. As has been the trend in forex markets of late, the currency’s rise cannot be attributed to an improvement in fundamentals. The economic picture remains nuanced (that is putting a positive spin on it), and definitive proof of recovery has yet to emerge. “We really are trawling pretty deep to try and get any snippet of information that might have some backhanded relevance as far as Australia goes,” said one analyst. As a result, fundamental analysts have been forced to wait for a “more precise picture about the timing [of] any Reserve Bank of Australia interest rate hike.” On this front, investors are ratcheting down their expectations of a rate hike anytime soon, as “The RBA has signaled that there’s a danger of raising rates too soon.” Futures prices reflect the expectation that rates will rise by only 37 basis points from current levels before 2010, and by 161 basis points 12 months from now. This positive development coincided with the release of similarly upbeat economic data: “Retail sales surged 2.2 percent in March from the previous month, four times as much as economists forecast. Home-loan approvals jumped 4.9 percent, the sixth consecutive gain.” Meanwhile, unemployment shrank for the first time in months, and consumer confidence is once again rising. While the economy is forecast to shrink by .75% in the current fiscal year, this compares favorably with other industrialized countries. The sudden turnaround can be attributed to a couple factors. First of all, the pickup in China’s economy is stimulating demand for natural resources, which had been slack for the last year. If not for simultaneously falling commodity prices, Australia might have even achieved positive economic growth for the year. 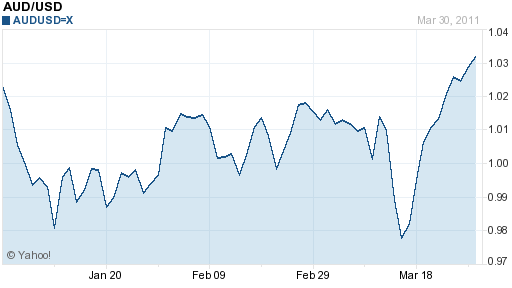 To be sure, the uptick in risk tolerance has been good for the Australian Dollar, igniting a 25% rise since March. 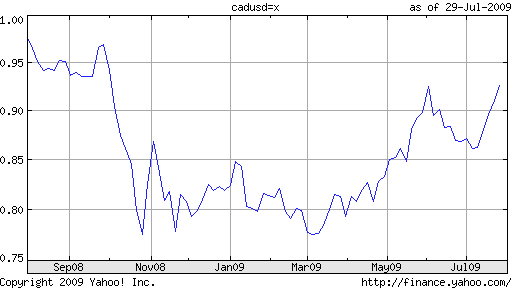 The currency now stands at a 7-month high against the US Dollar. But the increasingly modest differential is now causing some analysts to question whether it is a reasonable risk to take, especially against the backdrop of volatility and a high correlation with global stock prices. “What’s the point of picking up a 3 percent interest-rate differential by being long Aussie and short Japan in a world where the exchange rate can move by that much in two days?” Asks One analyst rhetorically. This same analyst is actually recommending investors to use the Australian Dollar as a funding currency, and go long on higher-yielding currencies, such as the Brazilian Real. 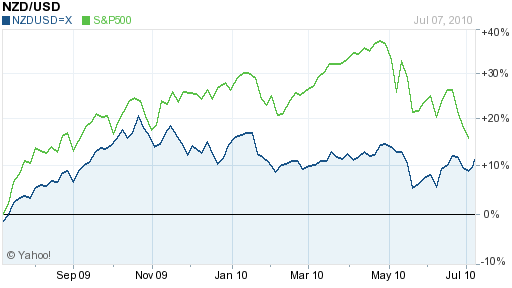 This particular trade would have netted a respectable 5.9% return in 2009. How quickly the roles have reversed! 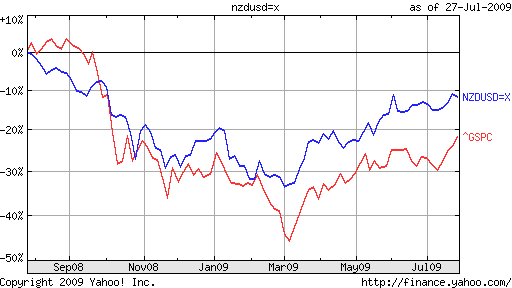 Against each other, the New Zealand Kiwi and Australian Dollar have traded in a pretty tight range for the last year (except for a “blip” in the fall of 2008). This makes sense, as both currencies rise and fall in accordance with exports and interest rates. 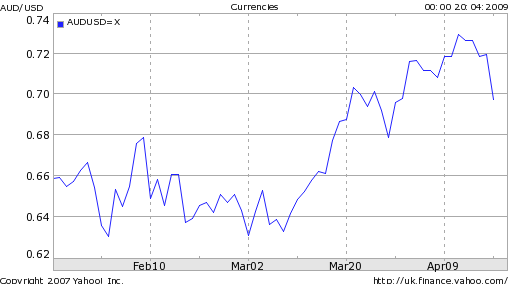 Against other currencies, meanwhile, both have torn upwards in the last couple months. Despite steep interest rate cuts, both currencies have maintained their interest rate advantages against other industrialized currencies. This has not gone unnoticed, and the return of the carry trade has been kind. “The current improvement in sentiment is providing an underpinning of support and while that remains the case – and that may be until midyear – the New Zealand dollar is going to remain well-supported,” said one economist. Besides, given the deteriorating economics in both countries, lower interest rates are probably inevitable: “We think this case for further cuts will be made in the second half of this year…we think it will be very difficult, no matter what the global economy is doing, for the RBA to ignore rapidly rising unemployment,” offered one analyst who predicted that rates would be cut to a “trough of 2%.” In such a scenario, the interest rate spread would still remain healthy, but perhaps not enough to offset the additional risk. Australian home prices are falling at a rapid clip, the labor market is sagging. In New Zealand, meanwhile, a decline in sentiment and consumer spending has corresponded with a 1% contraction in GDP in the quarter ended March 31. 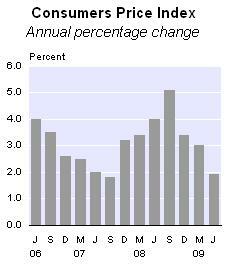 Tourism is down, although net exports are increasing. 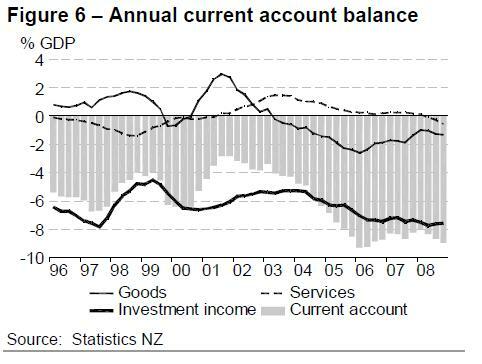 The current account deficit continues to expand, but this is mostly a product of an investment balance – perhaps related to the carry trade. The local dollar rose to its highest since 2000 against the New Zealand currency before an inflation report tomorrow that may support the case for the Reserve Bank of Australia keeping interest rates at a 12-year high.